The song means a lot to us because it was the first song we wrote as a band many years ago and we were finally able to get a high quality version of it to share with the world. We had recorded an EP about 3 years ago and dumped every penny we had into it. The guy scammed us and we basically never got a single thing out of that. 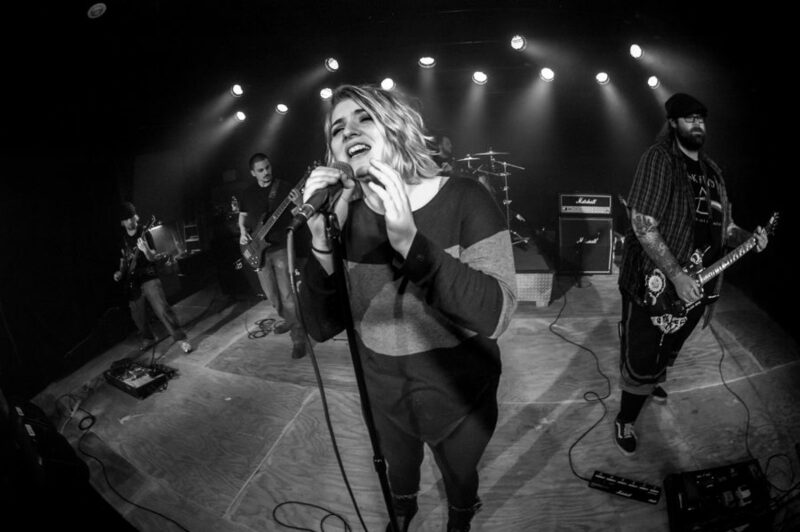 Fast forward to now, the very talented Danielle Mazziotti took over on vocals and we felt it was time to try again, which is why after so many years together we finally have a solid EP even though it is a little short. a show of our versatility as musicians. We chose to do those songs, while it is only a 3 song EP, so that you get every aspect of our style in each song. We go from hard rock, to metal, and to acoustic and melodic all within our little story. A reviewer described us as having “a heart of metal, and a soul of rock n roll” which I think is pretty accurate. and it can be quite difficult at times playing our genre in the area. Most people are into the harder metal and more mainstream hard rock. There are a lot of great venues here but on the same token it’s hard getting shows when you don’t fall into the same genre as the more popular bands in the area. and I wouldn’t give it up for the world. I think pay to play and poor promoting are the biggest downside of the music. Also the lack of comradery between bands. Most are out there to benefit themselves. The biggest upside would simply be the joy of playing. Music is all of our passion. It is why we persevere. We aren’t worried about sales, about crowd size, or anything like that. We care about our fans, and about simply making music. Our inspirations come from all over the place. I know all of us would have different answers, we all stem from different genres, but equally love all of them. That is why each song has it’s own personality. Me personally, I was inspired by Kirk Hammett from Metallica as a kid. I always dreamt of playing in a band since I was very little, and after I was kicked from my own band for, frankly, being terrible I was about to give up. Listening to Fade to Black made me want to make someone else feel the same feels I felt that day. It made me continue, develop my skills and push forward. You can probably sense a lot of his style in my own solos.